THIS SUMMER, LEGENDARY MUSIC IS COMING YOUR WAY. 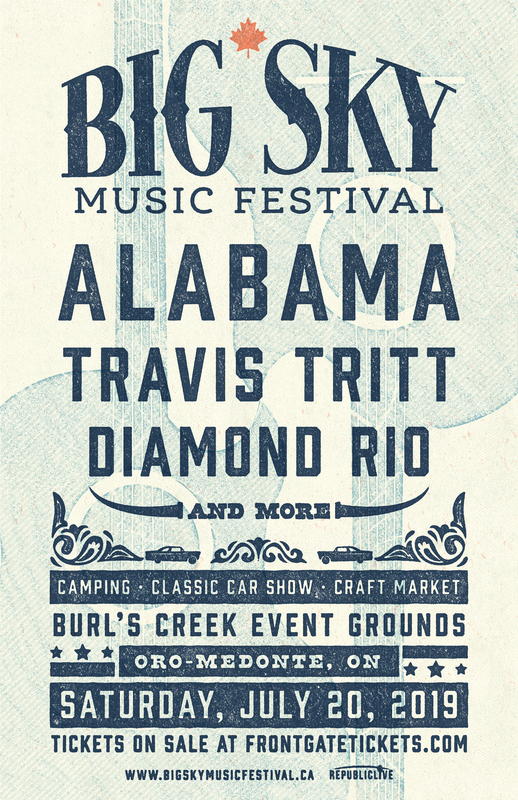 Introducing, Big Sky Music Festival. Singalong to Alabama, Travis Tritt, Diamond Rio & more at Burl’s Creek Event Grounds, in Oro-Medonte on Saturday, July 20th. We’re taking it back to the good ol’ days with a classic car show, camping, and craft market the whole family will enjoy. It’s back to the classics at Big Sky Music Festival. Tickets on sale Friday, February 1st, 2019 at 10AM.